Longdong (Long Cave) is the largest bay on the Northeast Coast. It is favored with clear water and abundant marine life, including large numbers of colorful tropical fish, making it an out-standing spot for snorkeling and scuba diving. Also, the schools of fish that gather here make the bay a highly popular rock-fishing area. 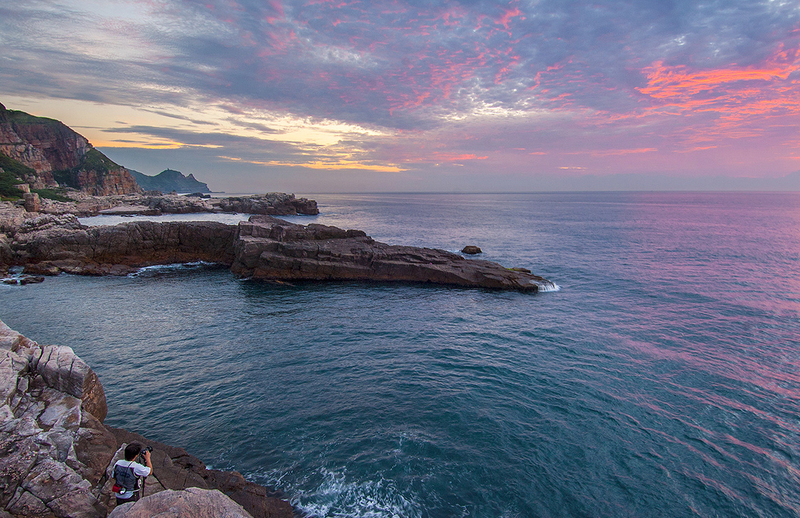 At the southern edge of the park, the sheer sandstone cliffs of Longdong (Long Cave) Cape have become the premier rock-climbing destination of northern Taiwan. Since the cliffs are only 30-odd meters high and have a wide variety of surface forms, they are perfect for training in rock-climbing skills. 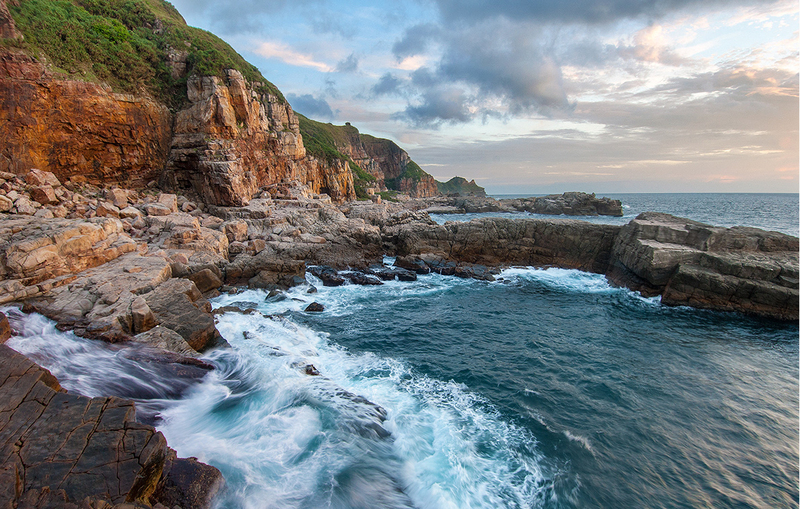 At the same time, this area offers stunning vistas of Bitou Cape, Sandiao Cape, and Aodi Bay. 1. Take the train to Taipei Main Station, continue by Guoguang (Kuo-kuang) bus (torward Yilan Luodong) to Longdong Bay Coastal Park stop. 2. 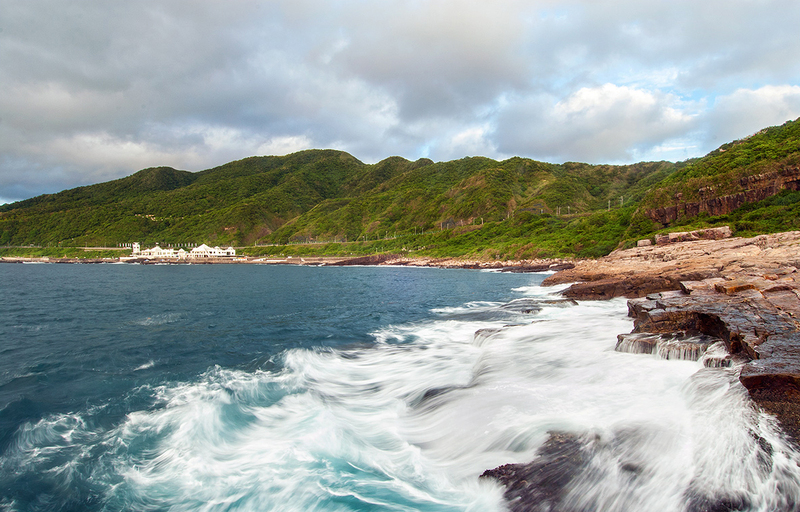 Take the train to Keelung Railway Station, continue by Keelung Bus (torward Fulong) to Longdong Bay Coastal Park stop.